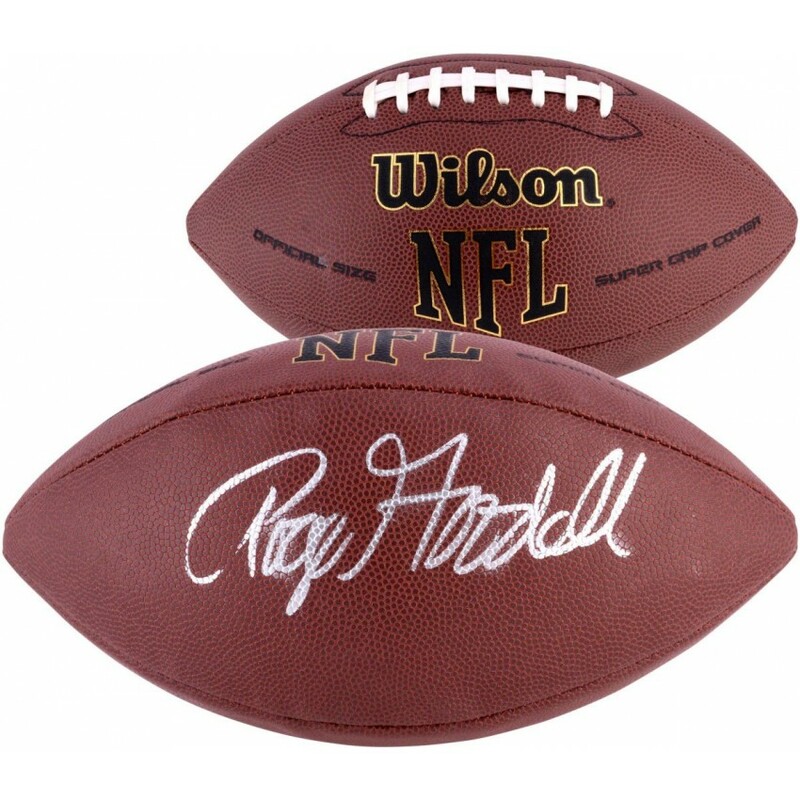 This football has been personally hand-signed by Roger Goodell. It is officially licensed by the National Football League and comes with an individually numbered, tamper-evident hologram from Fanatics Authentic. To ensure authenticity, the hologram can be reviewed online. This process helps to ensure that the product purchased is authentic and eliminates any possibility of duplication or fraud. The Michigan Wolverines Golden Classic helmet display case comes with a black acrylic base and gold .. The Utah Jazz deluxe 8" x 10" frame with team logo and nameplate is a perfect addition for the colle.. This Arizona Diamondbacks collage comes designed with three photos and team logo. It also features a.. This Riddell Pro-Line authentic helmet has been personally hand-signed by Steve Young. It is officia.. This game-used jersey was worn by Joe Thomas during the Cleveland Browns 29-28 win over the Tennesse.. The San Francisco Giants 30-ball display case is made of 1/8"-thick acrylic with a mahogany wood fra.. This Winnipeg Jets deluxe 8" x 10" set up frame with team logo and nameplate is a perfect addition f.. This framed 10'' x 30'' filmstrip photograph has been personally hand-signed by Paul George with the.. This football has been personally hand-signed by quarterback Drew Brees. It is officially licensed b..
Race fans, now is your chance to own a piece of the famed Daytona International Speedway! This uniqu.. This collectible features and autographed 6" x 9" photo of Michael Waltrip. It comes double matted i..